Rooms, services The guests of Hotel Admirał Gdańsk may stay in 44 nicely furnished, comfortable rooms in Gdańsk. The hotel is offering you freshly prepared fine local meals in its restaurant every day. The hotel provides a parking space for you for an additional fee. There's no need to worry about the summer heat here, in some of the rooms air-conditioning is available (please make sure on the information sheet of the selected room). You can also bring your laptop for the holiday, for there is wireless Internet connection (WiFi) available at the hotel. 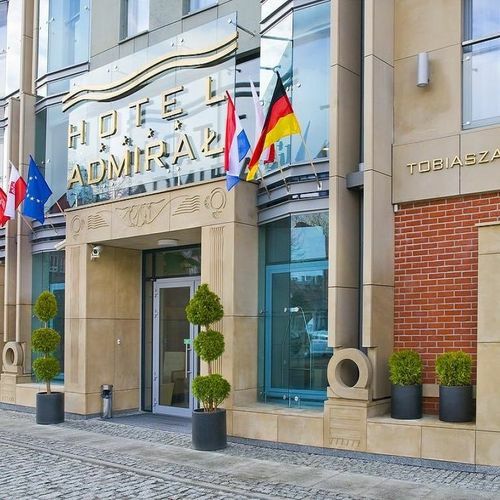 The exact scope of services offered by Hotel Admirał Gdańsk (including those for an extra fee) and the exact equipment of a room are available on the information sheet below and on the information sheet of the given rooms. Location The hotel is located History Museum Gdansk 700 meters, Ambersky ferris wheel 800 meters, St Mary Church 500 meters, National Museum Gdansk 700 meters. Catering Rich and tasty breakfast will be served to you at the hotel every day, which is already included in the price of your stay. Payment You may pay your reservation by the following payment methods: cash, bank transfer. 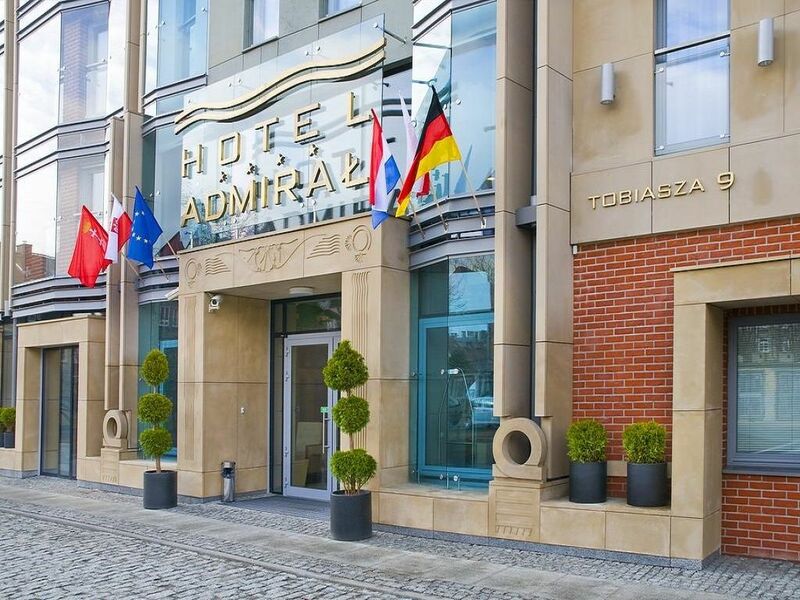 Hotel Admirał Gdańsk requests 100% advance payment to finalize your reservation. Arrival, opening hours The earliest check-in time to your room is 14:00, the latest check-out time from your room is 12:00. English and Polish languages are spoken by the personnel.